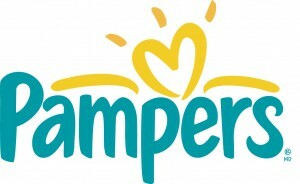 Pampers Diapers or Easy-Ups as Low as $3.97 at CVS This Week! Or coupons of variable amounts from home mailers (sign up here to get on the mailing list for the next deal!). Final price after ExtraCare Bucks and coupons: $3.97-$4.47! This deal is Limit 2, so you can do one transaction, get your ExtraCare Bucks then do a second transaction and use the ECBs from the first time around! Some people have gotten a third pack on a separate transaction. If they are out of your size GET A RAINCHECK. CVS Rainchecks are good for a year or more and you still get the bonus bucks. Use them when you have bucks expiring to keep them rolling over. I also noticed mega jumbos (or whatever the double jumbos are) for 8.75 on clearance, YMMV but I was able to score 3 size 3 cruisers and 4 size 4 cruisers. $6.75 after coupon is an amazing deal! Is anyone else finding that the limit is 3? It says 2 in the ad, 2 on the shelf, but 3 on the receipt. Yeah!